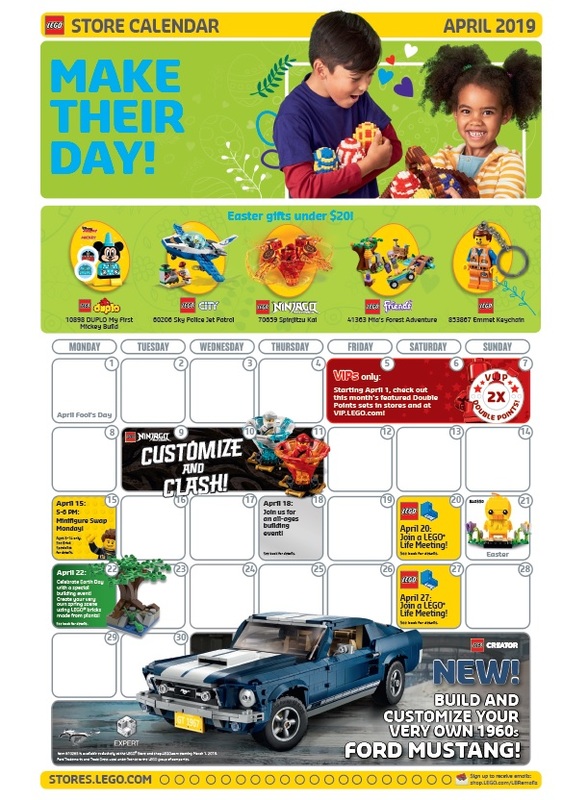 The March 2018 LEGO Brand Retail Store Calendar is now available. Next month’s LEGO Mini Model Store Build will be a Mini Ship. There will also be an additional building event on March 21. 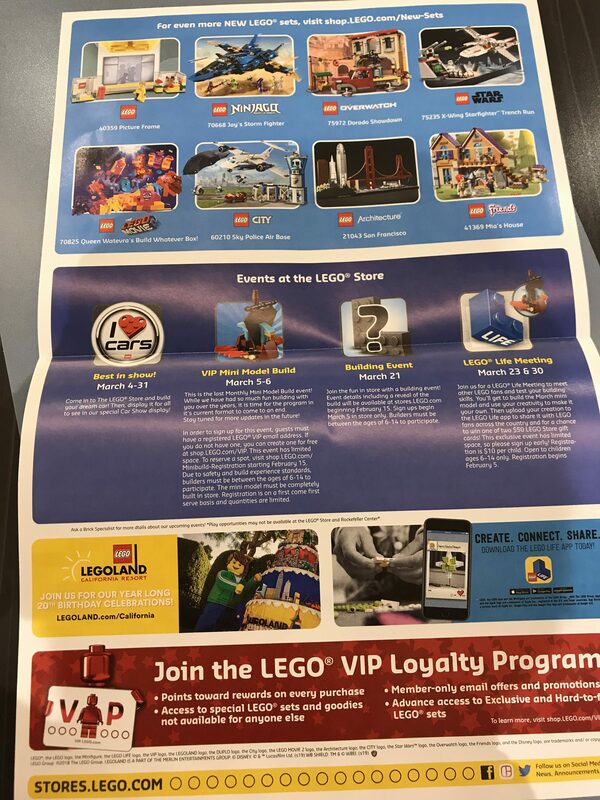 LEGO Life Meetings will also be happening on March 23 and 30. 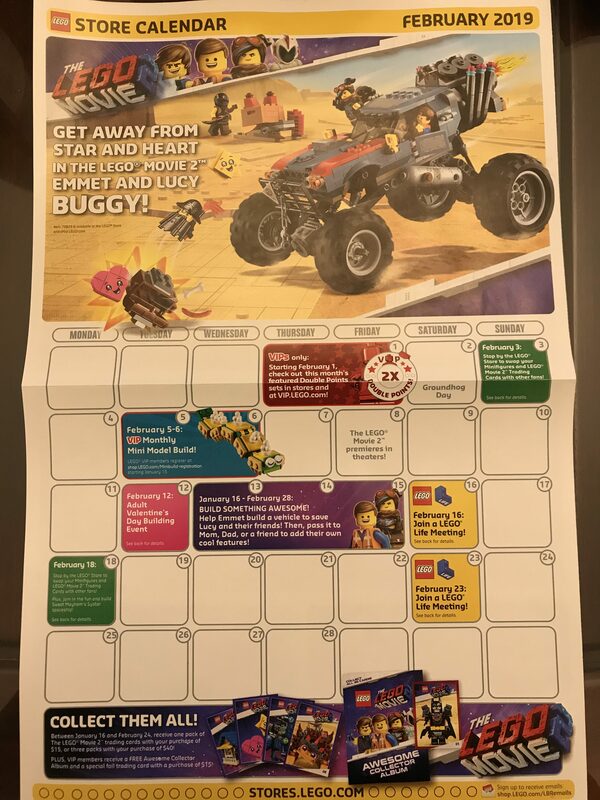 The February 2019 LEGO Brand Retail Store Calendar features primarily the LEGO Movie 2. 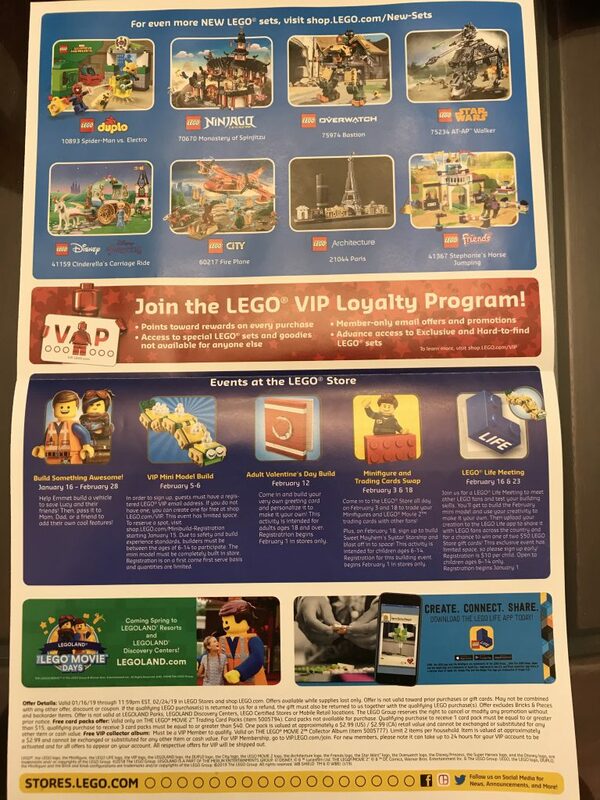 There are days where you can swap your LEGO Minifigures or Movie 2 Trading Cards at your local LEGO Store. 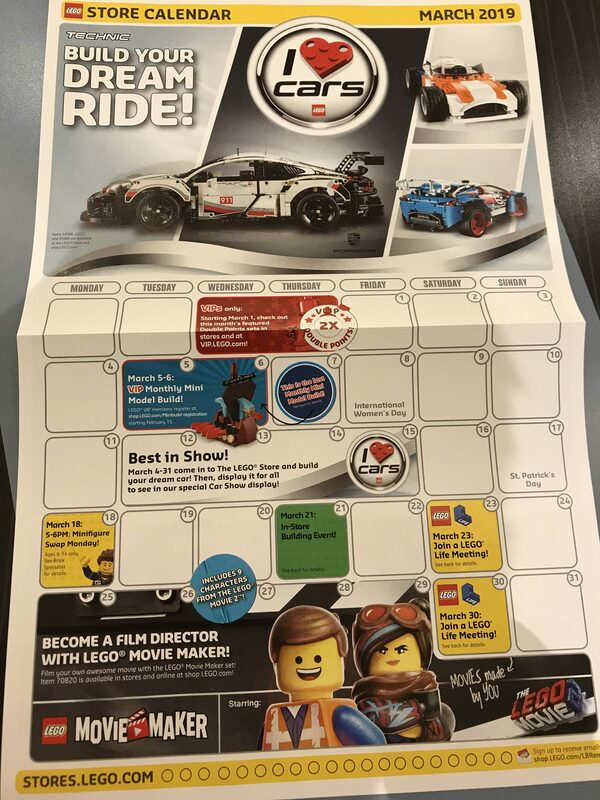 Between January 16 and February 24, you can receive a pack of LEGO Movie 2 Trading Cards with a purchase of $15. You can get 3 packs with a purchase of $40. VIP members also get free Awesome Collector Album and a special foil trading card with a purchase of $15. 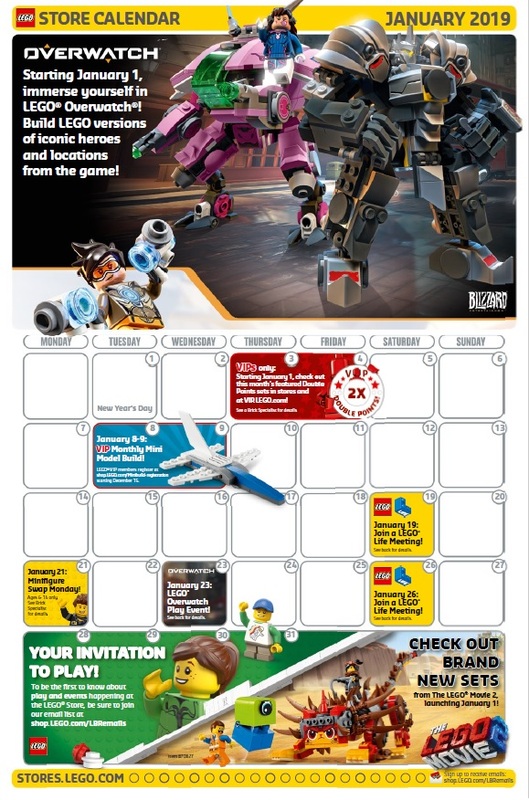 Note that the monthly freebie promotions are no longer listed on the LEGO Calendars.